Organization: Association for Applied Psychophysiology and Biofeedback May 22, 2009. University of Nevada, Las Vegas. 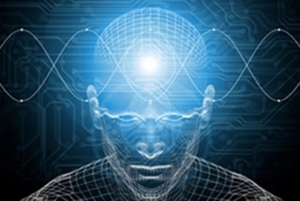 CAROLYN YUCHA, PH.D., DOIL MONTGOMERY, PH.D.
Biofeedback is a technique that enables an individual to learn how to change physiological activity for the purposes of improving health and performance (Gilbert & Moss, 2003; Schwartz & Andrasik, 2003; Shaffer & Moss, 2006). Biofeedback instruments are used to feed back information about physiological processes, assisting the individual to increase awareness of these processes and to gain voluntary control over body and mind. Biofeedback instruments measure muscle activity, skin temperature, electrodermal activity (sweat gland activity), respiration, heart rate, heart rate variability, blood pressure, brain electrical activity, and blood flow. Research shows that biofeedback, alone and in combination with other behavioral therapies, is effective for treating a variety of medical and psychological disorders, ranging from headache to hypertension to temporomandibular to attentional disorders. The present publication surveys these applications and reviews relevant outcome research. Biofeedback is used by physicians, nurses, psychologists, counselors, physical therapists, occupational therapists, and others. Biofeedback therapies teach the individual to take a more active role in maintaining personal health and higher level mind-body health. Biofeedback and is attractive approaches for individuals who are seeking complementary and alternative medicine (CAM) therapies (Lake & Moss, 2003). The public appears to seek out therapies that 1) give the individual a more active role in his or her own health care, 2) involve a holistic emphasis on body, mind, and spirit, 3) are noninvasive, and 4) elicit the body’s own healing response (Jonas & Levin, 1999; Moss, 2003). James Gordon, the first chairman of the Federal Advisory Council of the NIH Office of Alternative Medicine, emphasizes that educating individuals in self-care must be at the center of this new medicine in order to deal with the changing picture of health problems today, especially the increasing incidence of chronic conditions (Gordon, 1996). Biofeedback is holistic therapy, based on the recognition that changes in the mind and emotions affect the body and changes in the body also influence the mind and emotions. Biofeedback emphasize training individuals to self-regulate, gain awareness, increase control over their bodies, brains, and nervous systems, and improve flexibility in physiologic responding. The positive effects of feedback training enhance health, learning, and performance. There are biofeedback protocols to address many of the disorders, including anxiety, depression, and chronic pain, for which the public is using CAM therapies in high numbers (Bassman & Uellendahl, 2003; Burke, 2003; Freeman, 2008; Kessler et al. 2001). Biofeedback also provide the kind of evidence-based practice the health care establishment is demanding (Geyman, Devon, & Ramsey, 2000; Sackett, Straus, Richardson, Rosenberg, & Haynes, 2000). Evidence-based practice is a process of using the best evidence, preferably research findings, to guide delivery of health services. Levels of evidence range from case reports and observational studies to randomized clinical trials. From the beginning, biofeedback developed as a research-based approach, emerging directly from laboratory research on psychophysiology and behavior therapy. The field of feedback therapies has maintained its close relationship with both pure and applied empirical research. Pure research takes place largely in laboratories and seeks new understandings of neurophysiological mechanisms underlying disorders such as panic disorder and hypertension. Better recognition of underlying mechanisms continues to inspire new biofeedback treatment approaches. One such line of research is using high resolution magnetic resonance imaging (fMRI) to learn more about pathophysiology of various conditions and to identify brain areas activated during biofeedback (Andrasik & Rime, 2007). In turn, many biofeedback applications have been tested and proven, both in research and practice. The present volume fills a void in the biofeedback practice world: the need for a standardized assessment of clinical efficacy and effectiveness for feedback-based therapies. “Efficacy” refers to the determination of a training or treatment effect derived from a systematic evaluation obtained in a controlled clinical trial (LaVaque et al. 2002). “Effectiveness” assesses how well a treatment works in actual clinical settings with more typical clinical populations. Everyday clinical practice includes more individuals who suffer with subsyndromal conditions and comorbid disorders and who are already participating in multiple treatments beyond the researcher’s control. It is rare for the average primary care physician or behavioral health practitioner to see a patient who has only one medical condition, who clearly meets diagnostic criteria, and who is not involved in other therapies. experimental. Attending biofeedback conferences, one hears discussion of many promising new approaches, and Websites often claim “well-documented efficacy” for a variety of new approaches. Nevertheless, today’s research climate has higher standards for “efficacy” and “effectiveness” than were current during much of the time period in which biofeedback evolved. The present publication applies current standards of research methodology to biofeedback practice. In 2001, the two professional associations in this practice area, the Association for Applied Psychophysiology and Biofeedback (AAPB) and the International Society for Neuronal Regulation, now known as the International Society for Neurofeedback and Research (ISNR), together commissioned a Task Force to develop official standards for research methodology, establishing what kinds of research are required for each of five levels of efficacy, ranging from the lowest level, “not empirically supported,” to the highest level, “efficacious and specific.” That Task Force report has been published along with a brief introduction describing the context and need for its development (LaVaque et al. 2002; Moss & Gunkelman, 2002). The efficacy guidelines themselves can be found, with criteria for each rating, of the present document. The Task Force has created rigorous standards, which are not easily applied to feedback therapies. There are inherent difficulties, for example, in creating a double-blind condition for a therapy that is founded on enhancing self-awareness of body and mind. For example, “sham feedback” (feedback that does not reflect the subject’s actual physiological state) has been used as a control condition in biofeedback research. Yet, perceptive individuals quickly notice the sound or light feedback does not fit with their perceptions of their bodies; they are not blinded as the methodology requires. There are also ethical implications today, following the international Declaration of Helsinki, published by the World Medical Association (2000), in using placebos or sham therapies when the relative efficacy of one of the treatment conditions is already known (LaVaque et al. 2002). often combined with a wide variety of adjunctive therapies, including relaxation training, visualization, behavior therapies, client education, and other strategies. 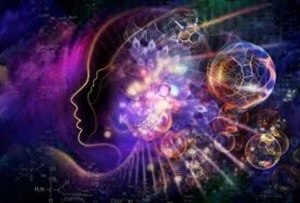 James Gordon, director of the Center for Mind-Body Medicine, has advocated that future outcome research should compare integrative packages of alternative therapies, including biofeedback, to placebo alone or to accepted therapy packages (2003). Nevertheless, it is critical to apply prevailing standards for outcome research in order to provide a credible rating of therapeutic interventions for today’s evidence-based healthcare sector. Failing to do so exposes biofeedback and neurofeedback to the danger of being left by the wayside as irrelevant in today’s best practices–focused treatment milieu. The present volume does not attempt exhaustive reviews of all research on each application. Rather, this volume reviews a sampling of the best available evidence and, in concise form, rates each application according to the official AAPB/ISNR efficacy guidelines. biofeedback for attention deficit disorders (Monastra, Lynn, Linden, Lubar, Gruzelier, & LaVaque, 2005), anorectal disorders (Palsson, Heymen, & Whitehead, 2004), anxiety disorders (Moss & Shaffer, in preparation), hypertension (Linden & Moseley, 2006), temporomandibular disorders (Crider, Glaros, & Gevirtz, 2005), tension and migraine headache (Nestoriuc, Martin, Rief, & Andrasik, in preparation), Raynaud’s disease (Karavidas, Tsai, Yucha, McGrady, & Lehrer, 2006), substance abuse (Sokhadze, Cannon, & Trudeau, 2008), and urinary incontinence (Glazer & Laine, 2006). A lower efficacy rating does not necessarily indicate an application is not helpful. In some cases a lower rating has been applied chiefly because the relevant research has not yet been conducted. In other cases, a lower rating means the application benefits some subjects and not others because of wide inter-subject variability. People are not all uniform. On a group comparison basis, these selective successes may not be statistically significant. If a prospective client cannot tolerate the available medication therapies in traditional medicine, or if the individual is averse to staying with a medication, then “possibly efficacious” feedback therapies may be reasonable alternatives. Many of today’s well-accepted medical procedures have never been subjected to the rigorous efficacy standards adopted here. Many medications, in particular, are utilized off-label; that is, they are prescribed for specific medical conditions not indicated by the Food and Drug Administration and for which no rigorous clinical trials exist. Other medical therapies have been tested in randomized clinical trials and show reliable but relatively small effects. In a clinical drug trial with 10,000 subjects, even a small benefit will produce a statistically significant effect. At least one research report on antidepressants, for example, showed outcomes no better than placebo (Fava et al. 1998), yet these medications are among the most frequently prescribed in most primary care clinics. Similarly, many of the widely used educational methods for assisting students with learning disabilities have yet to be subjected to rigorous scrutiny. A “possibly efficacious” or “probably efficacious” biofeedback application may still be relatively powerful compared to the mainstream alternatives available to an individual. The feedback therapies also provide a useful alternative for clients who show adverse effects to medications, those who fail to respond to mainstream therapies, and those who prefer more natural, self-regulation–oriented treatment. Andrasik, F., & Rime, C. (2007). Can behavioural therapy influence neuromodulation? Neurological Sciences, 28, S124-S129. Bassman, L.E., & Uellendahl, G. (2003). Complementary/alternative medicine: Ethical, professional, and practical challenges for psychologists. Professional Psychology: Research and Practice, 34, 264-270. Burke, A. (2003). Biofeedback and the CAM consumer. Biofeedback, 31(3), 13-15. Clinical EEG (2000). Special issue on “The State of EEG Biofeedback Therapy (EEG Operant Conditioning) in 2000.” Clinical Electroencephalography, 31(1), v-viii, 1-55. Crider, A., Glaros, A.G., & Gevirtz, R.N. (2005). Efficacy of biofeedback-based treatments for temporomandibular disorders. Applied Psychophysiology and Biofeedback, 30(4), 333-345. Demos, J.N. (2005). Getting Started with Neurofeedback. NY: W.W. Norton. Evans, J.R., & Abarbanel, A. (Eds.) (1999). Introduction to Quantitative EEG and Neurofeedback. San Diego: Academic Press. Fava, M., Amsterdam, J.D., Deltito, J.A., Salzman, C., Schwaller, M., & Dunner, D.L. (1998). A double-blind study of paroxetine, fluoxetine, and placebo in outpatients with major depression. Annals of Clinical Psychiatry, 10(4), 145-150. Freeman, L. (2008) Mosby’s Complementary & Alternative Medicine: A Research-Based Approach (3rd.ed.). Philadelphia, PA: Elsevier Science. Geyman, J.P., Deyon, R.A., & Ramsey, S.D., (Eds.) (2000). Evidence-Based Clinical Practice: Concepts and Approach. Boston: Butterworth-Heinemann. Gilbert, C., & Moss, D. (2003). Biofeedback and biological monitoring. In D. Moss, A. McGrady, T. Davies, & I Wickramaskera (Eds. ), Handbook of Mind-Body Medicine in Primary Care: Behavioral and Physiological Tools (pp. 109-122). Thousand Oaks, CA: Sage. Glazer, H.I., & Laine, C.D. (2006). Pelvic floor muscle biofeedback in the treatment of urinary incontinence: A literature review. Applied Psychophysiology and Biofeedback, 31(3), 187-201. Gordon, J. (1996). Manifesto for a New Medicine. Reading, MA: Perseus Books. Gordon, J. (2003, March). Mind-body medicine and the future of health care. Keynote address to the annual meeting of the Association for Applied Psychophysiology and Biofeedback, Jacksonville, FL. Hammond, D.C. (2006). Quantitative electroencephalography patterns associated with medical conditions. Biofeedback, 34(3), 87-94. Jonas, W.B., & Levin, J.S. (Eds.) (1999). Essentials of Complementary and Alternative Medicine. Philadelphia, Baltimore, New York: Lippincott, Williams, & Wilkins. primary Raynaud’s phenomenon: A review of the literature. Applied Psychophysiology and Biofeedback, 31(3), 203-216. Kessler, R., Soukup, J., Davis, R., Foster, D., Wilkey, S., Van Rompay, M., & Eisenberg, D. (2001). The use of complementary and alternative therapies to treat anxiety and depression in the United States. American Journal of Psychiatry, 158(20), 289-294. Lake, J., & Moss, D. (2003). QEEG and EEG biofeedback in the diagnosis and treatment of psychiatric and neurological disorders: An authentic complementary therapy. Biofeedback, 31(3), 25-28. LaVaque, T.J. (2003). Neurofeedback, neurotherapy, and QEEG. In D. Moss, A. McGrady, T. Davies, & I. Wickramasekera (Eds. ), Handbook of Mind Body Medicine for Primary Care (pp. 123-135). Thousand Oaks, CA: Sage. LaVaque, T.J., Hammond, D.C., Trudeau, D., Monastra, V., Perry, J., Lehrer, P., Matheson, D., & Sherman, R. (2002). Template for developing guidelines for the evaluation of the clinical efficacy of psychophysiological evaluations. Applied Psychophysiology and Biofeedback, 27(4), 273-281. Co-published in Journal of Neurotherapy, 6(4), 11-23. Monastra, V.J., Lynn, S., Linden, M., Lubar, J.F., Gruzelier, J., & LaVaque, T.J. (2005). Moss, D. (2003). Mind/body medicine, evidence-based medicine, clinical psychophysiology, and integrative medicine. In D. Moss, A. McGrady, T. Davies, & I. Wickramaskera (Eds. ), Handbook of Mind Body Medicine in Primary Care: Behavioral and Physiological Tools (pp. 3-18). Thousand Oaks, CA: Sage. Moss, D., & Gunkelman, J. (2002). Task force report on methodology and empirically supported treatments: Introduction and summary. Applied Psychophysiology and Biofeedback, 27(4), 261-262. Co-published in Journal of Neurotherapy, 6(4), 7-10. Moss, D., LaVaque, T.J., & Hammond, D.C. (Eds.) (in preparation). White papers on psychophysiological treatments of clinical disorders: Series. Wheat Ridge, CO: Association of Applied Psychophysiology and Biofeedback. Moss, D., & Shaffer, F. (in preparation). The efficacy of biofeedback for anxiety disorders. Kestoriuc, Y., Martin, A., Rief, W., & Andrasik, F. (in preparation). Biofeedback treatment for headache disorders: A comprehensive efficacy review. Palsson, O.S., Heymen, S., & Whitehead, W.E. (2004). Biofeedback treatment for functional anorectal disorders: A comprehensive efficacy review. Applied Psychophysiology and Biofeedback, 29(3), 153-174. Shaffer, F., & Moss, D. (2006). Biofeedback. In C.-S. Yuan, E.J. Bieber, & B.A. Bauer (Ed. ), Textbook of Complementary and Alternative Medicine (2nded.) (pp. 291-312). Abingdon, Oxfordshire, UK: Informa Healthcare. Thompson, M., & Thompson, L., (2003), The Neurofeedback Book: An Introduction to Basic Concepts in Applied Psychophysiology. Wheat Ridge, CO: Association for Applied Psychophysiology. World Medical Association (2000). The Declaration of Helsinki. 52nd WMA General Assembly, Edinburgh, Scotland. www.wma.net.